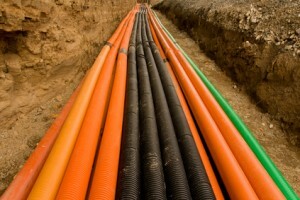 Plastic pipes are an essential component of the infrastructure of residential, industrial, and commercial enterprises. From the pipes that transport plumbing to the passageways flowing with industrial liquids, pipe systems fuel some of the biggest contributions to our modern way of life. One of the biggest things to come along in piping in recent decades is PEX piping. These plastic pipes are revolutionizing the way the world views pipes. The parameters of what pipes can do are being challenged by the highly flexible, highly adaptable design of PEX pipes. Boasting versatile use, a lightweight presence, and a pro-environment design, they are truly the pipes that will carry industry into the future. From contractors to project managers, PEX plastic pipes are the newest trick of the trade. The pliable and lightweight nature of plastic pipes can tempt some people into thinking that these pipes are less durable than other materials. The opposite is in fact true. Plastic pipes have more advantages over more traditional materials such as copper and iron. The advantages run the gamut from cost, to durability, to the ease with which plastic pipes get a job done. Plastic pipes are by their nature corrosion resistant. Their ability to expand also greatly reduces the risk of pipes bursting. Corrosion and bursting are the most common detriments of pipes, and they can contribute to costly repairs and clean-ups, not to mention add to safety hazards. The lightweight nature of plastic pipes can contribute to a cost benefit that is seen in transportation costs alone. Shipping lighter materials to a project site is only the beginning of the savings when plastic pipes are put to use. The pliable and lightweight nature of plastic pipes can tempt some people into thinking that these pipes are less durable than other materials. The opposite is in fact true. PEX pipes are famous for their ability to sustain in the harshest swings of temperature. They can endure extreme heat as well as temperatures that fall below the freezing mark. The number of industries and uses that PEX pipes have a place in is truly astounding. They have quickly become the standby material for domestic and commercial plumbing. In addition, they are commonly used for radiant heating, mine cleaning, industrial liquid transport, and agricultural uses. This is only the tip of the iceberg. The ability of plastic pipes to bend and inhabit the space they are outfitted to cuts back on the time it takes for pipe installation, as well as the cost associated with extraneous materials. This flexibility means that the need for secondary parts, such as fittings, is greatly reduced. The absence of these parts contributes to the bottom line of any project. The smooth fit of plastic pipes eliminates the need for soldering, which is typical of copper and iron pipes. Taking this step out of the production process adds a safety benefit since there is no need to use blowtorches, which add to the risk of fire and injury. Every day more and more industries are learning about how PEX pipes can go to work for them.